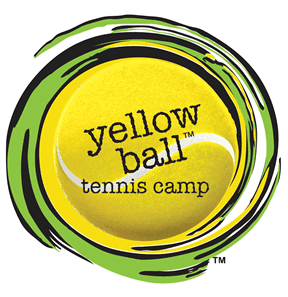 Players 11 years and over join Yellow Ball Tennis programs for a lot of reasons. Whether they want to stay fit, join their high school team, or are participating in competitive tournaments preparing for a collegiate tennis career, our programs are tailored to fit their needs. The Yellow Ball Tennis model offers players the opportunity to focus on skills development while providing a safe and social environment to promote individual growth. REGISTER NOW to guarantee your space! Camps fill up quickly! While our name is both fun and exciting, don’t underestimate our professional ability! Our tennis staff consists of certified tennis professionals from the United States Professional Tennis Association (USPTA) and the Professional Tennis Registry (PTR), who are involved in teaching tennis full-time or who are college tennis players. All of our camp professionals are required to attend training, which provides the necessary education to be certified as a Developmental Coach or a USPTA/ PTR Professional. 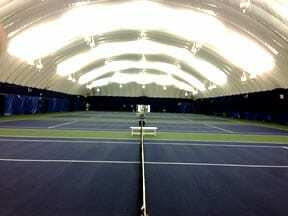 Intense Tennis, Safe Environment & Serious Fun! Each player receives a personal profile to complete prior to arriving at camp. If a player is working with a private coach, we ask that the coach help them complete the profile. Completed profiles will help us determine the level of the student’s game and allow us to focus on goals that they are trying to achieve. Working together for the benefit of the student is our main objective. Meeting new friends, interacting with our staff and participating in a relaxed and safe environment give kids the feeling of home. Having fun is the best way to keep kids passionate about tennis. Our social activities are part of the reason campers keep coming back year after year. Players receive group instruction. Rotations allow players to work with all YellowBall professionals. Players are grouped according to age and ability level to focus on improving their technique and strategies for match play. Players engage in match play through the “2 on 2” Challenge. The “2 on 2” Challenge is an exciting format that inspires players to improve their match play through a team format. The format of the “2 on 2” Challenge is unique to Yellowball. Teams consist of two players who match up against another team in both singles and doubles. The winning team is determined by the number of games won. If the match is a tie, a Super Serve Sudden Death Playoff takes place. All scores are posted online. The goal of the “2 on 2” Challenge is to develop singles and doubles strategy while learning the important aspect of being a good team player. The “2 on 2” Challenge is also a chance to put newly honed skills into practice in a fun, non-threatening, but still competitive environment. Teaming up with a friend creates a unique opportunity to understand the advantage of bonding with a partner. As a result, players develop lasting friendships and learn valuable life lessons. Friday is graduation day with special awards and prizes presented to campers. Parents are encouraged to attend. Online registration guarantees your participation in the camp and allows you easy access to your Camp Registration Packet. Your Camp Registration Packet consists of important information that will make your week more enjoyable along with forms that must be filled out and returned to us prior to the start of camp or Monday morning when camp begins. You will get a link to download the Camp Registration Packet with your registration confirmation email. If for some reason you are unable to attend, 10% of the registration will be deducted to cover the cost of administration fees. Don’t miss out! Camps fill up quickly.